Suzanne Desan (Co-editor), Lynn Hunt (Co-editor), William Max Nelson (Co-editor). 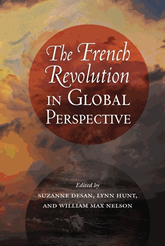 The French Revolution in Global Perspective. Cornell University Press, 2013.